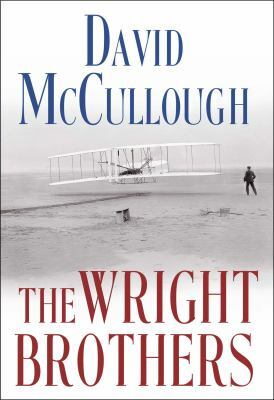 The story of the Wright Brothers, as told by biographer and historian David McCullough, is so improbable that it seems like fiction. Their father was born in a log cabin and their mother died young. Wilbur and Orville grew up in Dayton, Ohio along with their older brothers and younger sister Katherine in a house with no running water. They had only high school educations. Yet, after spending less then one thousand dollars of their own money, the Wright brothers were the first men to really fly, and were later visited at flying demonstrations in Europe by three European kings. Katherine was the first woman to fly as a passenger three times; their father, a minister, was the first elderly passenger. I found McCullough’s thoroughly researched book to be fascinating, once I could tell Wilbur and Orville apart. Wilbur was brilliant, a fine writer and public speaker. Orville, the younger, was mechanically gifted and given to occasional moody spells. After much research and experimentation, including constructing a wind tunnel above the shop where they made, sold, and repaired bicycles, they were ready to fly. Picking the location for its constant winds and sandy terrain, they traveled to Kitty Hawk on the remote, unimproved Outer Banks to practice flying an unpowered glider in 1900. They returned each year, and in late 1903 made the first four powered flights in a single day, the last one, by Wilbur, lasted 59 seconds. The brothers credited a large family library with furthering their own education, and many others would mention their wide ranging interests and work ethic in their amazing success story. Thousands of family letters helped McCullough bring the brothers’ story to life. This book will be published May 5.